The winners of this year’s Aylesbury in Bloom garden competition have been announced. 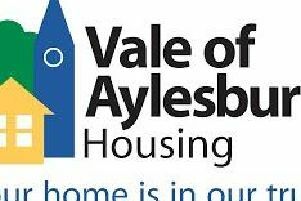 Residents, organisations and businesses were given their awards last night (Thursday) for their efforts in the annual event organised by Aylesbury Town Council. This year’s categories celebrated front, back, edible, wildlife nature, container and communal gardens. Every year an Overall Best Garden winner is chosen and this year the standard was particularly high. The runner-up and commendation prizes were also awarded to the recipients during the awards presentation, which took place at The Railway Club. The gardens were judged by volunteer judges Sandra Ferguson, Rosemary Brown, Anne Brooker and Cllr Denise Summers, who are all keen gardeners and horticulturalists. Town mayor Cllr Tom Hunter-Watts said: “It is a great pleasure to know that we have so many well-tended gardens in our town. “Gardening is a wonderful recreational activity, good for the body and good for the soul. “It doesn’t matter how big or how small the garden is, you can create amazing flower displays in even the smallest of spaces, as many of our entrants prove each year. “I would like to congratulate everyone who took part in the competition. They have all done superlative work! “We are already looking forward to the competition next year and are hoping for even more entries across all categories. Photos by Maurice Cousins and Aylesbury Town Council.